An original black inkjet cartridge for HP printers. 300 series (CC640EE) print cartridges with many enhancements continue the tradition of HP, maintaining low operating costs along with high print quality. 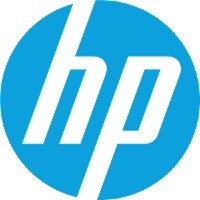 The innovations include HP technology with double the drops content. This enables the creation of 1.3 pl droplets, due to which the prints are realistic and have lower printing costs. 300 series black ink cartridges print text documents and images in laser quality, making them resistant to fading. This original HP ink cartridge is designed to provide easy-to-use features at an affordable price. The yield indicated by the manufacturer is 200 pages (5ml). For shipping to other EU countries visit this page HP CC640EE No. 300. Chcete doručit zboží do Česka? Prohlédněte si HP CC640EE č. 300 černá. Chcete doručiť tovar na Slovensko? Prezrite si HP CC640EE č. 300. Für Versand nach Österreich, besuchen Sie bitte HP CC640EE, Druckerpatrone Nr. 300 schwarz - DJF4280, D2560. Magyarországra történő kiszállításért tekintse meg ezt a termékoldalt: HP 300 (CC640EE).